This month’s meeting is a public meeting focussing on Cleansing and we invite local residents to come along and discuss issues they are experiencing. Have your say on bin collections, litter and litter bins, bulk dumping etc. 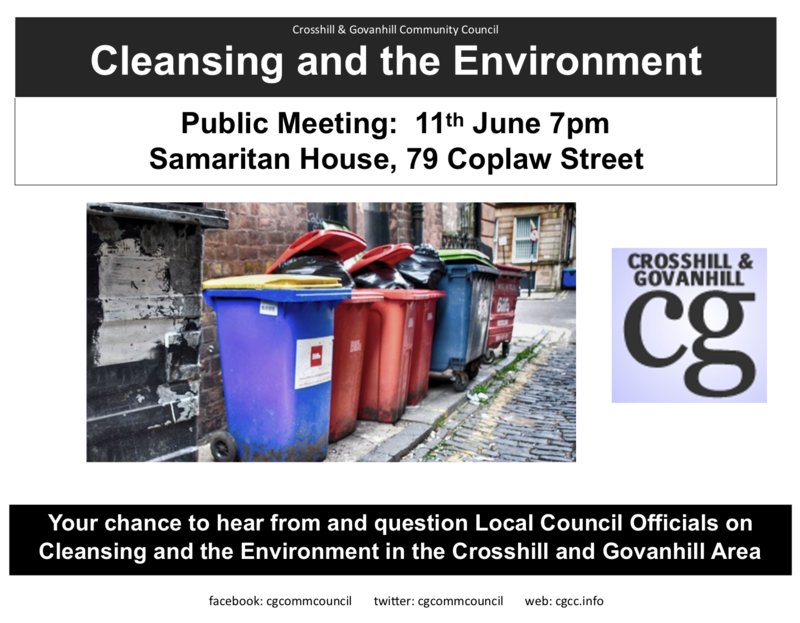 If you are not able to come along but have issues to raise – please contact us on contact@crosshillandgovanhill.org.uk, or twitter or facebook.